Happy Saturday! This week I'm featuring some of my personal favorite & lucky St. Patrick's Day post. Some are mine and some belong to my favorite bloggers. Click and see the sugar buzzzzz! 2-Irish Soda Bread- delish! One of MY personal favorite recipes! 3-Mushroom Recipes for National Nutrition Month-not really Irish but still tasty! 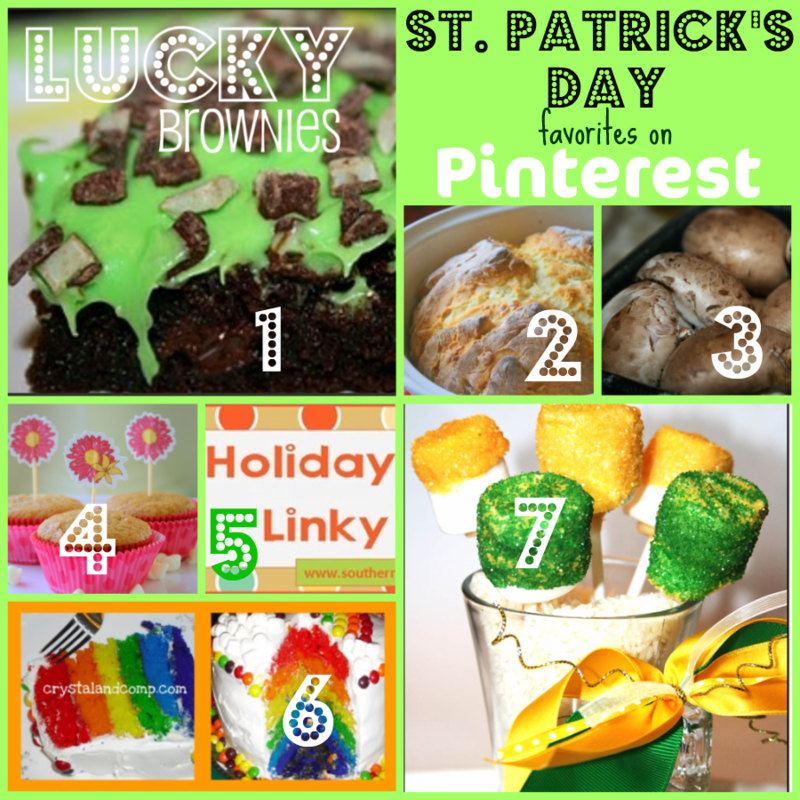 4-Lucky Leprechaun Bites-easy, kid friendly and a HUGE giveaway! 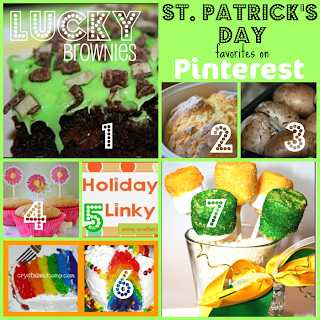 5-Rest of the projects can be found on my Lucky St Patrick's Day Board! Come visit. Thanks for linking up and stopping in! LOL keep on playing with us!